Two nights a week I don’t get home until 9 p.m. after swim practice and I am ravenous! Sometimes I have leftovers on hand so I can eat right away. But most nights I need to make something substantial – and fast. 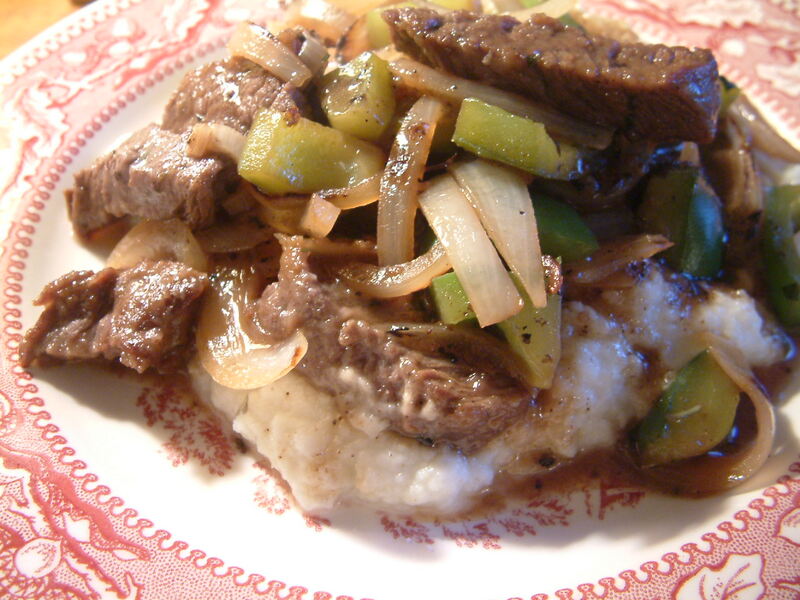 Beef stir fry with green peppers and onions is a perfect answer. It’s quick, hearty, and has both good veggies and protein for a post-workout meal. You’ll be eating a hot meal within 15 minutes after hanging up your workout clothes to dry. Twice in one week I came across references to using cornstarch to give food a crisp layer when grilling meat or stir frying tofu, sometimes called “velveting.” Make sure to pat dry your beef before coating it with cornstarch. This removes any excess moisture that will steam your meat instead of cook it when you set it over high heat. 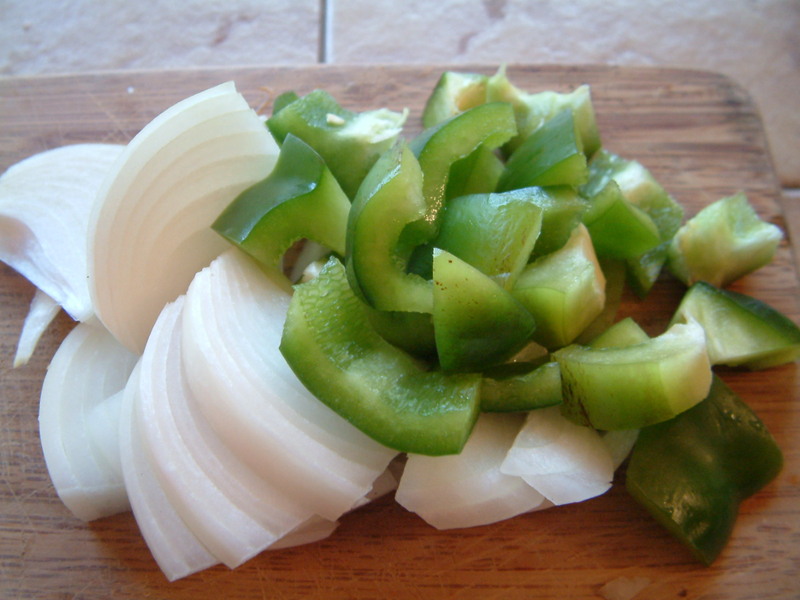 Chop up some green pepper, onion, and garlic and you are halfway there! Cook your meat first in oil, remove, and then add the veggies. Once everything has been cooked through, you can add the soy sauce and water to bring all of the flavors together. 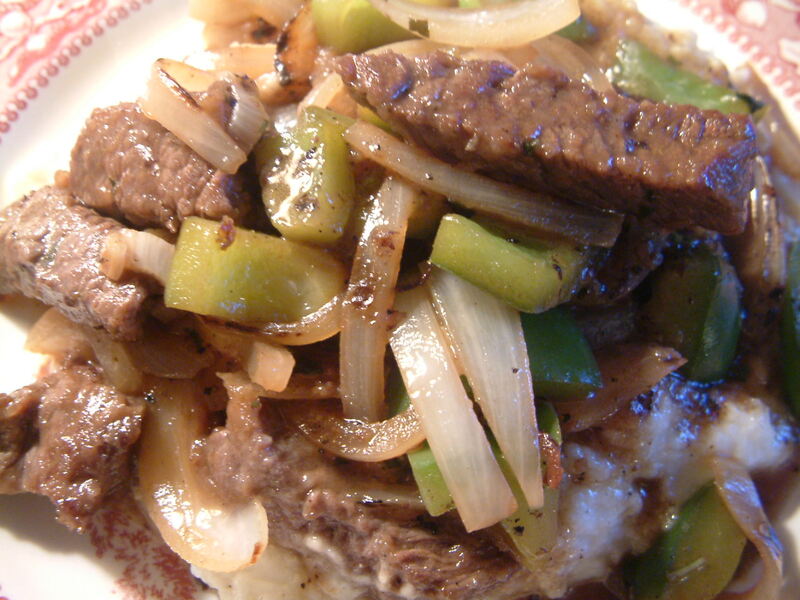 Beef stir fry is delicious over rice or egg noodles. For a non-carb option, try a steamed cauliflower mash by pureeing the cauliflower with some butter and half-and-half (see photo). Start to finish, the whole meal took about 20 minutes to make and consume. Much better than takeout! The only drawback: You’ll have to clean up your own dishes. 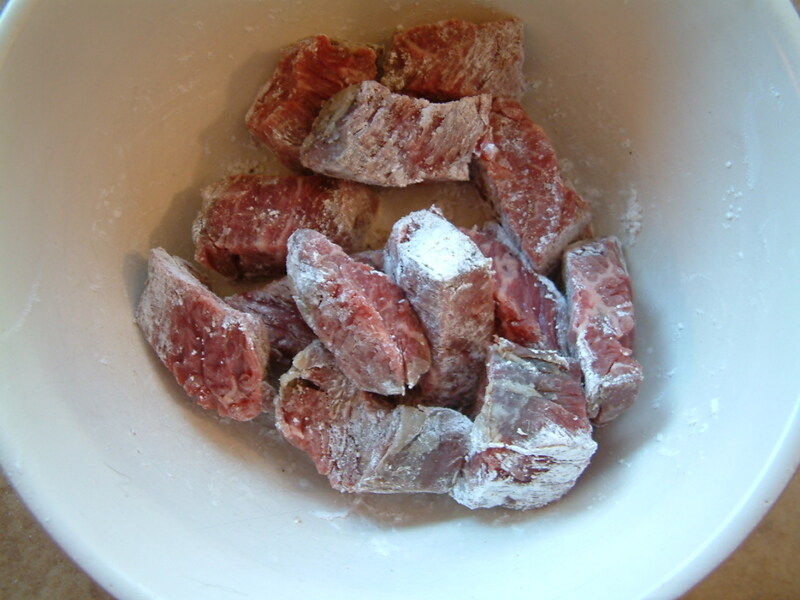 Toss together beef, salt, pepper, and cornstarch until meat is well coated. Heat 2 tablespoons of vegetable oil in a wok over medium high heat until oil is hot, but not smoking. Stir fry the beef until cooked through, 1-2 minutes. Transfer with a slotted spoon to another bowl or plate, cover with foil, and let rest. Add remaining tablespoon of oil to wok and add green pepper, onion, and garlic and cook until peppers are tender and onion is translucent, about 2 minutes. Add soy sauce and water and bring to a boil. Return meat to the wok and cook stirring, about 2 minutes, until sauce is thickened. Serve over brown rice, noodles, mashed cauliflower or potatoes. Nice! Stirfry if my go-to weeknight meal.